An incredible 7 year boiler warranty with boilers fitted by The Gas Boiler Doctor! Choosing a new boiler is an important decision – after all it’s something you will be relying on for many years to come. At the Gas Boiler Doctor, we appraise your complete heating and hot water system and, where possible, recommend cost-effective upgrades and repairs to your existing equipment. If you are considering installing a brand new boiler, we offer an installation service that is both professional and thorough and because we are a Vaillant approved installer, we can provide warranties of up to 7 years* on new boiler installations. As an independent installer we can also provide you with a 24 hour service for all of your heating and hot water needs. Regular servicing of your heating system can help reduce the risk of things going wrong, making sure your boiler is running as efficiently as possible. 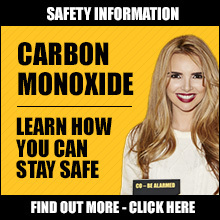 As a standard part of your boiler service we report on the levels of carbon monoxide being emitted from your boiler, ensuring your safety and giving you peace of mind. All our Gas Safe registered engineers carry on-board diagnostic equipment, enabling them to quickly and efficiently diagnose faults. Whether you’re replacing your boiler to make home improvements, to replace a faulty unit or simply to make energy efficient savings, your Gas Safe registered Gas Boiler Doctor engineer will guide you along every step of the way; helping you find the best solution to satisfy your heating and hot water needs. We cover a wide area from Exeter, Exmouth, Budleigh Salterton, Sidmouth and Woodbury and beyond. We are fully trained and certificated for all gas boiler installations, gas boiler servicing, gas boiler maintenance and gas safety certificates. Please contact us to find out more. Not all boilers are created equal, and money spent now could save you £'s in the future.